Hot dog stand – Ended up being way more work than we thought, little profit. We quit 6 weeks into it. This wasn’t really passive income, since we were up at dawn brewing coffee, handing out danishes, and freezing on the street corner! Photography business –This just evolved into our successful graphic and web design business. I guess I can’t really count this as a side business or passive income either. Child ID Kits – My husband originally thought ID Kits would be the idea that would make us money while we sleep. It didn’t really catch on. FROG – Three years ago my husband had a brilliant idea (before the iPhone had launched), create a mobile portal for smart phones making accessing the internet a breeze. FROG is still going strong, but isn’t generating any income. We are still working on this one, I’m sure someday we’ll figure it out. For now it is passively working (over 10,000 active users) and adding new users daily. If anyone thinks they can help with FROG, please let me know! 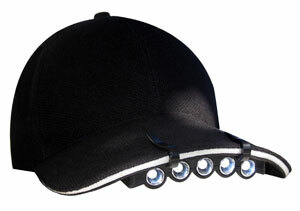 Well, we finally hit one idea that is making money without a lot of work: The Cap Light. My husband’s goal this year was to begin networking with small businesses that he took an interest in. He could help design their website and marketing materials for a percentage of their sales. Now with the marketing in place, the orders are rolling in. My husband makes a small profit off each sale without much work on his end. Many of the ads came out this week in a few different travel and RV publications helping create most of the orders. As goofy as this product seemed in the beginning, it is a huge hit with campers, RV travelers, and just about anyone who needs a third hand to hold a flashlight. We are working on another passive income generator that is a more lucrative business idea with a company that produces dependent eligibility audit software. In exchange for building their new website, we will profit 10% on every online or web sale. Since their product ranges from $8,000 on up, our profits could become very lucrative. With the success of The Cap Light this week, we can only hope that this next venture will also make us money while we sleep. Ya’ gotta love that passive income! My 2010 motto: Work smarter, not harder. What experiences have you had with passive income? Have you tried different business ideas to help generate additional income? Do you currently have a successful passive income generator you could share with us? This was my dad’s motto to a T….. and he has become a very wealthy man. My husband and I also have some activities which bring in cash while we sleep. My husband has 6 books, 4 of which are still yielding decent royalty checks. I have been investing our family’s assets for many years, and through my efforts, over time, our portfolio is growing WELL. I love your ideas, and think it is REALLY smart to take a principal position in the web sites your husband develops!!! .-= Barbara´s last blog ..Are you Already Rich? (Part 2) =-. @Barbara – thanks so much for your comment. You’re right, we need to start an IRA this year. That is one of my goals for 2010. We still have plenty of time, but we’re getting a late start (I’m pushing 38!–ahhh!) This year should be really good though, so we should be able to play a little catch up over the next year or two. Thanks again! congrats on structuring your agreement this way. At least you reap the future benefits. Just out of curiosity, one the sits are set up, is there any more follow ups to do? .-= Mr Credit Card´s last blog ..GoFreeCredit.com Review =-. @Mr. Credit Card- That’s a good question. It depends, sometimes there are minor updates that need to be made and that’s part of the deal. One website that we are working on for commission will be our baby, meaning it will be up to us to “babysit” it more frequently, but the potential commissions we could make could be lucrative, so it’s worth it. Thanks for your comment! @Ted – That’s always something to look into, investing in other people’s ideas. They can sometimes pay off. Good luck to you too! No passive income here (yet). I’m a mechanical engineer at a refinery and a lot of our inspectors use cap lights for their hard hats. They’re invaluable when you’re crawling through a small pressure vessel with equipment, a harness, clipboard, etc. The only difference I see is yours has more lights, which would be way better than what we have! I don’t have one myself and will be checking yours out. BTW – why don’t you and your husband look into advertising your Cap Light on refinery inspector related websites? Google API 510 (the American Petroleum Institute certification for pressure vessel inspectors), inspector job sites like RoadTech.com, etc. I think you two would make a lot of money that way. @David – Thanks for the information. We we’ll definitely look into this! That’s a great concept. I’m actually a bit surprised that companies go for that. More power to your husband and you for negotiating these deals. It sounds like a great idea that could really pay off. .-= Evolution Of Wealth´s last blog ..Pricing Your Disability Insurance =-. @Evolution of Wealth – I think companies like the idea, because it costs them less up front. They get a website built for essentially free, and then as their sales come in via the web, we make a commission. It is usually a win-win situation. Thanks for your comment! Wow, very cool! What does your husband do for a full-time job? Or is he an entrepreneur? Very neat! It’s all about creating a bag business for our blogs, which is great. FROG has 10,000 users? That’s great! @Financial Samurai – He runs his own graphic and design business. So basically he is an entrepreneur I guess! 😉 Thanks for the comment on FROG, we have a lot of users, but aren’t sure where to go from there. Suggestions welcome! I think its really cool that you are so supportive of him. Passive Income streams are difficult to create and maintain before they become active. I am worrying about creating multiple streams right now, regardless of active vs passive. @Evan – Thanks for your comment! I am supportive of my husband because I believe in him. He’s always had some brilliant ideas, and me supporting him has allowed him to try some of them. Hopefully we will now have some passive income for a while! You certainly have been working hard on finding efficient and interesting sources of passive income. Thank you for this post, it really inspired me. .-= Holme´s last blog ..Hent blogindlæg som PDF =-. @Holme – thanks for the support! Regarding the cap with lights, my family uses them to check the levels of grain bins during harvest. Climbing ladders to the top & then pulling out a flashlight isn’t convienent. The cap/lights work very well. @Sue – It’s great to hear feedback about products I support (or sell!) Thanks for sharing that with me. I’m glad to know these types of things come in handy in many situations. 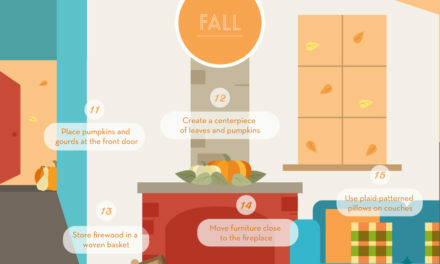 .-= Buck Inspire´s last blog ..Move- Boxes- Isolate- and Unclutter =-. @Buck Inspire – Back up plan? No, not really. I have to say that some of the items we’ve supported we didn’t invent on our own. Also, as for running our own business, I’ve always worked which gave us additional income when business was slow. So I guess if that can count as a back-up plan, then that’s it! With any business venture, it’s vitally important to have an exit strategy as part of your business plan. Where do you see yourself in five, ten, years? Ultimately the goal is maximize profitability, sell, then move on.